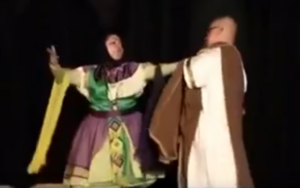 Media reported that Iranian authorities have arrested two artists over a production of William Shakespeare’s A Midsummer Night’s Dream after a promotional video posted on social media showed female actors dancing with male performers. Prominent director, Maryam Kazemi, and the manager of the Teheran City Theatre, Saeed Assadi, were detained on September 9th. The play had already been showing for seven nights and only had one night left to run. The “House of Theatre” in Teheran declaired its ofdficial protest against the detention after an extraordinary general meeting of its members on September 10. Both persons have been released after one night. Culture Minister Abbas Salehi later intervened to secure their release, according to state news agency IRNA, sparing them the bail of three billion rial (roughly $23,000 at the current unofficial rate) each, which had initially been demanded. German-born actor and playwright Baris Atay was arrested by Turkish police officers two days ago. There was no reason announced for the arrest. Yet it can be seen as a reaction to critical remarks by Atay via twitter when he commented on Yusuf Yerkel, an advisor to president Erdogan. Recently, after years of performing in his one-man show “Only A Dictator”, Baris Atay has also been banned from the stage in several Turkish cities. 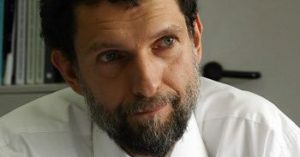 An open letter, intitiated by Shermin Langhoff, artistic director of Maxim Gorki Theater Berlin, and signed by German and international artists and curators, calls for the immediate release of Osman Kavala. 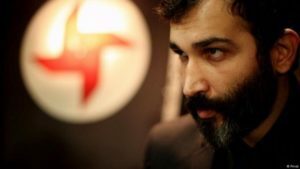 Kavala, founder of Anadolu Kultur, was arrested in Istanbul on 18 October, allegedly having been involved in the attempted coup in July 2016.